by President Tommy Remengesau, Jr.
President Tommy Remengesau is the eighth president of the Republic of Palau, and the first Palauan to be elected president three times. For those of you who know me, over the years, I have been a strong advocate for our people and our islands. I have opposed the destruction of our islands by mining companies, industrial fishing interests, and the U.S. military. I founded Beautify CNMI!, co-founded Pagan Watch, Friends of the Monument, and the Alternative Zero Coalition. I don’t see these as separate entities or efforts, but rather part of a single mission: To make our islands a better place to live and pass them down to our children. Change doesn’t happen overnight, but during a lifetime, much can take place. I was recently tagged in a Facebook story about Palau’s recent decision to designate an ocean sanctuary in 80 percent of their EEZ (“Small Island Nation Makes Big Contribution to Conservation,” Earth Justice). My friend wanted to know why we couldn’t do the same thing, and challenged one of our local leaders to do so. The truth is, several years ago, we tried to do something similar to what Palau just did. This effort resulted in the creation of the Islands Unit of the Marianas Trench Monument. At the time, it was the second largest marine protected area in the world—but we’ve since dropped to 18th. I have to hand it to those Palauans, though—they have a way of looking at something, and flipping it on its head to make it even better. When I was an advocate for the creation of the Marianas Trench Monument, I imagined a protected area as a circle, a place where no fishing took place on the inside, and fishing took place on the outside. With this model, the far Northern Islands were the perfect place. The islands were already protected by our Constitution and the Monument was meant to ensure that the protections extended from shore out to the extent of the EEZ. Palau just did the opposite of that. They saw it differently. They created a protected area in the shape of a donut – a protected area on the outside, with a fishing area on the inside closest to the islands. The protected area serves as a buffer to foreign fishing fleets and allows fish to grow big and old and then spillover into the indigenous fishing zone closer to shore. What a brilliant idea! With the amount of development our islands are expected to experience in the coming years, we need to start thinking like our brothers and sisters in Palau. So perhaps it is time to take another look at the Monument. This is a good thing. In many ways, the Monument we got was not the monument we asked for. The designation was opposed by some otherwise reasonable people for all the wrong reasons, and as a result not all of the many potential benefits were realized. At that time, Mrs. Agnes McPhetres told us it was a good “first step” and I continue to believe that. But first steps require a second. And a third. We should look into what Palau just did and see if it is something that would work here. We followed their lead in implementing the Micronesia Challenge, so why not this, too? Additionally, maybe we can look at some of the lessons learned with our Monument these last few years. And maybe we can ask our neighbors for their help and advice. When we created our Monument, we were only the second place; now, there are more than a dozen. 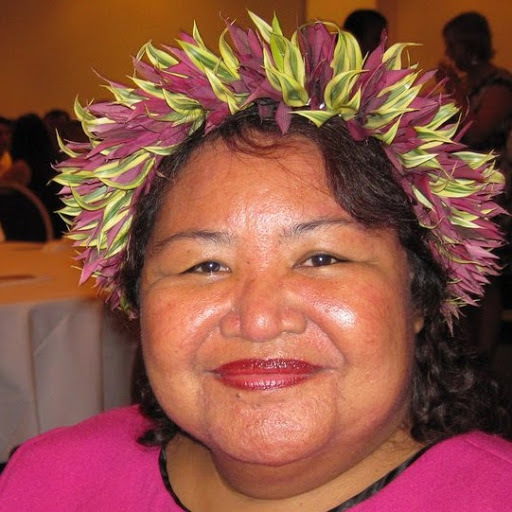 Cinta M. Kaipat is a lawyer and former member of the CNMI House of Representatives. "¿Cuántas veces han pensado que es inútil que los indígenas sigan luchando por conservar sus costumbres en el siglo XXI? ¿Cuántas veces han expresado que es utópico, ingenuo y de una gran falta de realidad reforzar la conexión con la naturaleza, la preservación y el legado? Hoy, gracias a una de esas utopías del pueblo Rapa Nui nace una propuesta sólida que protege el océano y entrega beneficios a Chile y al mundo". Follow Sofia Faúndez Hey on Twitter. The Palau Congress today approved the Palau National Marine Sanctuary Act, which will establish one of the world’s largest protected areas of ocean in the Pacific island nation’s waters. President Tommy E. Remengesau Jr. said he would sign the measure into law as early as Monday as Friday is a national holiday in Palau. “Today is a historic day for Palau, proving that a small island nation can have a big impact on the ocean,” President Remengesau said. “Island communities have been among the hardest hit by the threats facing the ocean,” he continued. “Creating this sanctuary is a bold move that the people of Palau recognize as essential to our survival. We want to lead the way in restoring the health of the ocean for future generations.” “The Palau National Marine Sanctuary will help build a secure future for the Palauan people by honoring the conservation traditions of our past,” said Senator Hokkons Baules, lead sponsor of the Palau National Marine Sanctuary Act. Often cited as an “underwater wonder of the world,” the ocean that surrounds Palau boasts remarkably healthy marine ecosystems that are home to more than 1,300 species of fish and 700 species of coral. The legislation creating the sanctuary designates 80 percent of the nation’s maritime territory as a fully protected marine reserve in which no extractive activities, such as fishing or mining, can take place. At 500,000 square kilometers (193,000 square miles), or slightly larger than the U.S. state of California, the sanctuary becomes the sixth-largest fully protected marine area in the world. About 20 percent of Palau’s waters will become a domestic fishing zone reserved for local fishermen and small-scale commercial fisheries with limited exports. 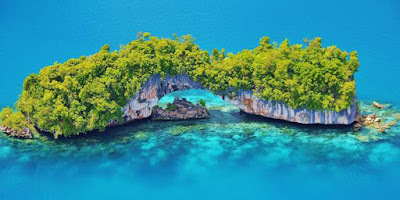 This transformation of Palau’s exclusive economic zone (EEZ) will take place over a five-year period, during which the number of licenses sold to foreign commercial vessels will be decreased annually. The nation’s coastal waters, an area of 12 nautical miles around each of the 250 islands, will continue to be managed by Palau’s 16 states. The marine sanctuary law also strengthens efforts to prevent illegal fishing by significantly tightening rules for vessels passing through Palau’s waters. It requires expeditious passage of nonlicensed fishing boats through the EEZ, appropriate vessel monitoring systems (VMS) on all ships, stowage of fishing gear, and stronger reporting requirements. Establishing the sanctuary also will make it easier to identify and stop poaching because the restrictions on commercial activity simplify detection. Palau, in collaboration with Pew and the Scripps Institution of Oceanography, is working with maritime enforcement experts from around the world to finalize a strong enforcement plan for the new sanctuary. President Remengesau invited Pew to Palau in 2013 to help establish a large marine reserve. 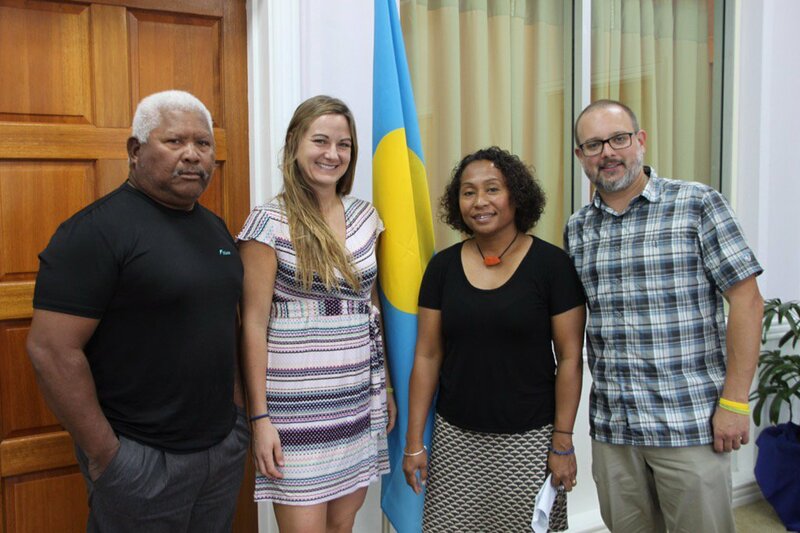 For the past two years, GOL staff members have worked closely with the President’s Office, the Palau National Congress or Olbiil Era Kelulau, local communities, and fishermen to provide technical assistance, public education, and a consultation process that involved broad participation by the island’s population regarding the sanctuary proposal. 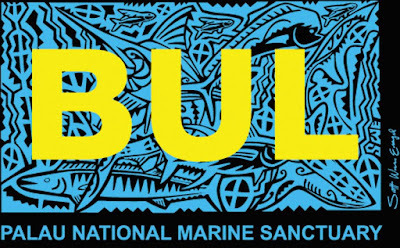 Support for the marine sanctuary is strong throughout Palau and comes from the Rubekul Belau or Council of Chiefs, the State Speakers Association, all 16 state legislatures, the Governors Association, the Belau Tourism Association, the Palau Chamber of Commerce, the Palau Community Action Agency, and more than 7,000 Palauans who have endorsed it via petition. In 2015, Global Ocean Legacy has supported efforts that have led to government commitments to protect over 2.5 million square kilometers of ocean. 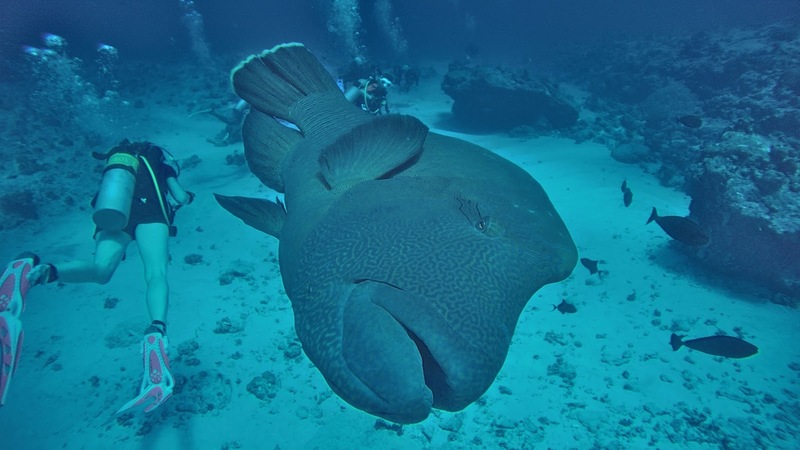 In March, the British government announced its intention to establish the Pitcairn Islands Marine Reserve in the South Pacific. 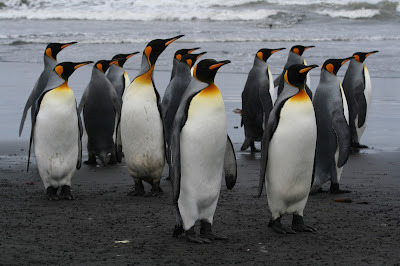 On Sept. 28, New Zealand Prime Minister John Key announced plans for a fully protected ocean sanctuary in the Kermadecs, about 1,000 kilometers (620 miles) northeast of his country’s North Island. And on Oct. 5, at an international ocean conference in Chile, Chilean President Michelle Bachelet pledged to work with the indigenous Rapa Nui community of Easter Island to adopt its proposal to create a fully protected marine park. During President Tommy Remengesau’s weekly press conference two representatives of the newly formed The Island Voices group discussed participating in the Our Ocean 2015 conference in Chile and collaborating with other Pacific Islanders on regional conservation. 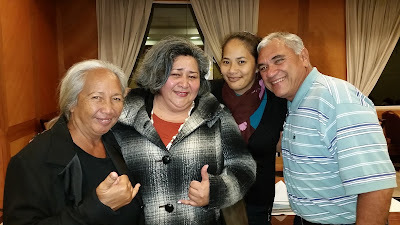 Ann Singeo who serves as director of the Ebiil Society and local fisherman Joe Reklai recently returned from Chile where they joined The Island Voices. As Palau’s representatives on the group they brought the perspective of the bul or traditional conservation measure Palau’s chiefs used to ensure food security. The Island Voices is a group of island artists, educators, cultural practitioners, women, and artisanal fishermen with a shared concern for the health of our ocean and people. “Palau is excited to work with other Island Voices members to create youth and fishermen ambassadors across the Pacific in support of ocean conservation,” said Ms. Singeo. The Our Oceans conference and creation of The Island Voices is timely particularly for Palau as the Olbiil Era Kelulau is considering the Palau National Marine Sanctuary legislation. On October 16, the Palau Senate passed the bill and the House passed a different version one week later on October 22. The two bills will now be worked out in conference. 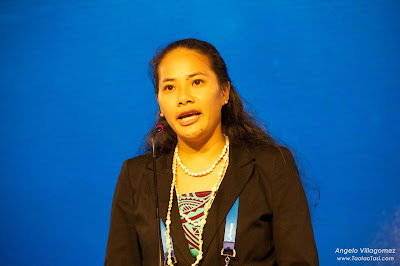 “We know that all Palauans will benefit from the National Marine Sanctuary,” said Ms. Singeo. Palau’s fishermen have been vocal supporters of the Palau National Marine Sanctuary proposal both because of the no-take zone encompassing 80% of Palau’s waters, but also because of the Domestic Fishing Zone that will help improve local fisheries. On October 14 the Olbiil Era Kelulau passed a resolution in support of in-shore fisheries reforms that Palau’s local fishermen developed during a July fishermen’s forum supported by The Pew Charitable Trusts. These reforms will now need to be implemented through legislation and regulations. Together the Palau National Marine Sanctuary and in-shore fisheries reforms will work together to ensure Palau’s current and future fishermen can sustain their livelihoods and culture. “As a fisherman it is my responsibility to teach my children about how to live from the ocean and protect it at the same time,” Mr. Reklai. Our Ambassador from New Caledonia, Ito Waïa, recently appeared on local television discussing his photo exhibit. Du 1er août au 30 septembre 2015, la maison de Deva accueille l'exposition photographique d'Ito Waïa intitulée "Dans le regard et la poésie d'Ito". Au travers de ses oeuvres, l'artiste présente un dialogue invisible entre les esprits de la nature. Le vernissage de l'exposition a eu lieu le 31 juillet à l'occasion de l'inauguration de la Grande Case de Deva et de l'hôtel Sheraton Deva. August 1 to September 30, 2015, the home of Deva hosts the photographic exhibition Ito waia entitled "In the eyes and poetry Ito". Through his works, the artist presents an invisible dialogue between nature spirits. The opening of the exhibition took place on July 31 on the occasion of the inauguration of the Grande Case Deva and Deva Sheraton. Today the Palau National Marine Sanctuary became one step closer to reality after the Palau Senate passed the bill calling for its creation by a vote of 10-0. "I commend our Senators for advancing this important piece of legislation and look forward to working with the House on swift passage," said President Thomas E. Remengesau, Jr. "The Palau National Marine Sanctuary is more than a conservation proposal, it is critical for our nation's food, economic, and national security." The Palau National Marine Sanctuary will transform the nation's waters into two distinct areas. After a five-year transition period, 80 percent of the country’s exclusive economic zone(EEZ) totaling 500,000 square kilometers (193,000 square miles) will become a fully protected marine reserve where all extractive activities will be prohibited.The remaining 20 percent will become a fishing zone for Palau’s domestic market with limited foreign fishing and exports. "This is an important breakthrough," said Seth Horstmeyer, a director with The Pew Charitable Trusts’ Global Ocean Legacy project, which has provided technical assistance for the sanctuary proposal since 2014. "Upon full designation, the National Marine Sanctuary will benefit the people of Palau and the overall health of the ocean." The Palau National Marine Sanctuary legislation now moves to the House of Delegates, where a companion bill was introduced in August 2015 by a majority of its members. First of all, I want to pay my respects to all countries and cultures present here today. I come from the island of Rapa, one of the most remote islands on Earth. It is located in French Polynesia in the Austral Islands archipelago. There is no airport in Rapa – the only way to get there is one commercial boat from Tahiti every 3 months. I am here today to represent Mr Tuanainai Narii, the mayor of Rapa who was invited to speak on this community panel. Mr Narii would have been thrilled to participate at this important event, but he was not able to leave his island and his population for a long time. I am Mr Narii’s niece and I also created the main environmental organization in which I’m the vice president. (I left the lead role to my auntie to let an elder and her wisdom guide us). There are about 500 people living on Rapa, most of them are farmers and fishermen. Due to the island’s remoteness, and limited influences from outsiders, Polynesian traditions are still very present on Rapa. And one of the key traditional heritages of my island is the “rahui”. Rahui is a Polynesian way to manage natural resources sustainably, with a set of protection zones and restrictions placed by chiefs, for the benefit of the whole community. It has existed in most of the Polynesian islands, but has disappeared in almost all of them, probably due to western influences and the loss of traditional knowledge and way of life. But Rapa is one of the very few islands in the Pacific that was able to maintain practices in line with the Polynesian rahui. In the 80’s, new fishing techniques such as spearguns or fishing nets and modern freezers were arriving in Rapa and people were starting to overfish. The situation was not sustainable. So the former mayor of Rapa, Lionel Watanabe, decided to launch a fishing Rahui for the island, as was practiced in ancient times. It was hard to reestablish the Rahui in the 80s, there were lots of complaints and some people did not want to respect the rules. But after a few years, everybody came to understand that Rahui works and that it is important for our island. The Rahui of Rapa protects the Eastern coastal area of the island where spearguns are strictly forbidden. Moreover, all around the island, night fishing, fishing nets and lobster traps are not allowed. In 1991, a Rahui Committee of nine members was created. This committee is elected every two years by the whole population and can propose expanding or reducing the size of the protection zone according to available resources. The Rahui of Rapa is a very sacred notion, with a strong link to beliefs. When a fisherman does not respect the rules, his engine can break down or fall in the ocean. The local priest opens and closes the Rahui with a prayer and we all say O oe e paruru ta matou rahui which means “God protects the Rahui”. The Rahui is lifted for fishing one day twice a year. On those days, everybody is involved. Men go fishing in the Rahui zone while women cook preparing for their return. Fish caught during these days is distributed to the whole population according to the number of members in each family. This is a very important celebration for our community. The Rahui is so effective in Rapa because it is based on community management and traditional values. There is no legal text supporting the Rahui; it is only a traditional custom operated locally. And the current generation of Rapa is knowledgeable in the maintenance and the management of the Rahui. We have been able to protect our coastal resources for about 30 years because of the Rahui. But we realize now, that our pelagic resources are declining drastically in the open ocean. This decline is due to overfishing at the international level. We are not responsible for this but we are the first victims of this problem. This is why, with the four other Austral islands, Rapa has decided through an official declaration of our municipality council, to call for an extension of our coastal Rahui to the open ocean. We now propose to the government of French Polynesia the designation of a large marine reserve in the Austral Islands’ waters, which would include a coastal fishing zone of 20 miles around each island for our local boats. We hope that our voices will be heard. Across the globe, we know that almost 90 percent of fish stocks are depleted or fully exploited and less than two percent of the oceans are highly protected. We clearly need to work together in order to keep our world healthy and viable for future generations. Today, we share with all of you: our Rahui, our way of managing marine resources in our small island of Rapa. We hope that it can be an inspiration for other islands or countries for sustainable management and conservation of their natural resources. We are all connected by ocean. We need to think about that.